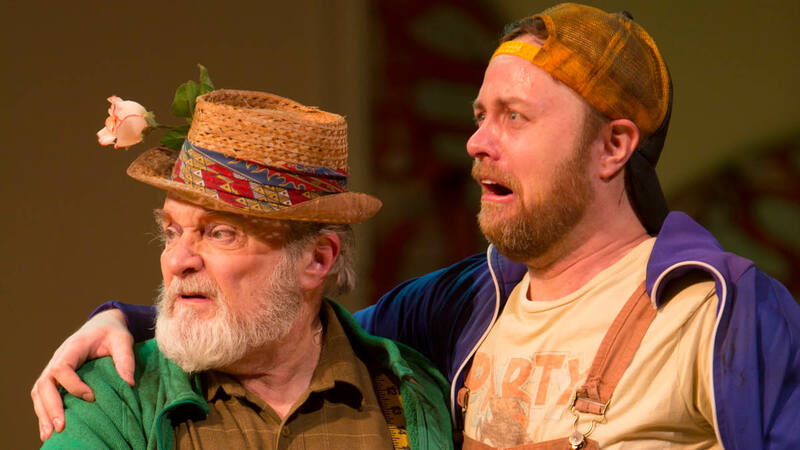 Ted van Greithuysen and Tom Story in A Winter’s Tale, directed by Rebecca Taichman. Photo by T. Charles Erickson. For several years, the Shakespeare Theatre Company has referred to a number of its recurring actors as Company Members. These are artists to whom the theatre has made a long-term commitment because of the depth and range of their talent, and who have come to consider STC as an artistic home. In addition to actors, there are also directors and designers to whom STC is similarly committed. These artists are also crucial to the production process, and the theatre wants to recognize their dedication to the work of STC. STC has widened its notion of “company” by crediting a select group of actors, directors and designers as Affiliated Artists. This Affiliated Artists program renews STC’s commitment to those actors who have been the cornerstone of the theatre’s work for years, while also formally acknowledging the theatre’s relationship with other artists whose work has contributed immeasurably to the excellence of STC’s productions. The theatre is incredibly grateful to these Affiliated Artists and looks forward to continuing to produce the finest classical theatre in America with them.